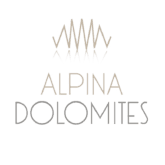 Combining the first-class location on the Alpe di Susi plateau with a panoramic view of the Dolomites, the Alpina Dolomites Lodge creates a magical atmosphere for your stay in the mountains. The Dolomites, declared as UNESCO World Heritage, provide the perfect backdrop to the stunning hotel, where the surrounding nature is incorporated in every corner of it, which makes it safe to say that the Lodge takes the saying “living in harmony with nature” to a whole new level. 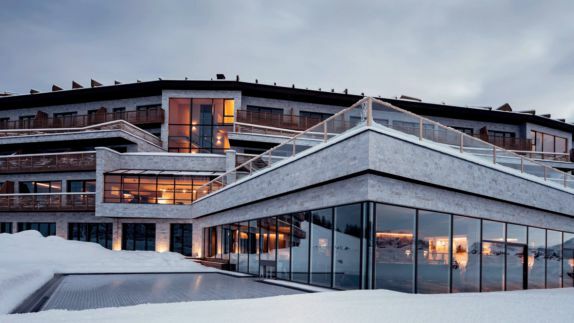 Why is the Alpina Dolomites Lodge one of the best places to stay during your trip to the mountains of South Tyrol? 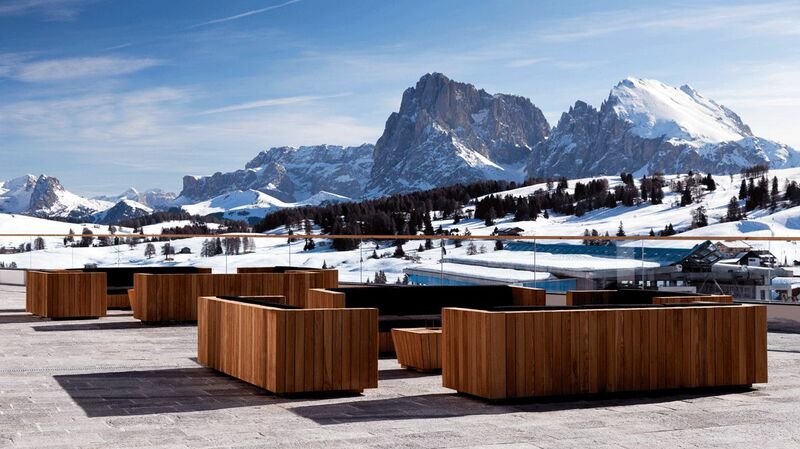 The lodge is located on the Seiser Alm/Alpe di Siusi, Europe’s largest high-altitude plateau, surrounded by a truly unique natural setting and a spectacular view of the Dolomites – from every single window of the lodge. Compatsch is the closest village to the lodge, near the mountain station of the Siusi-Alpe di Siusi cableway and about 30 km from Bolzano, above the picturesque villages of Siusi allo Sciliar and Castelrotto. How is my private space? Will I be able to see the mountains from my room? Refined decor and unique furnishing give each room an elevated interior, that is elegant and yet absolutely homey. 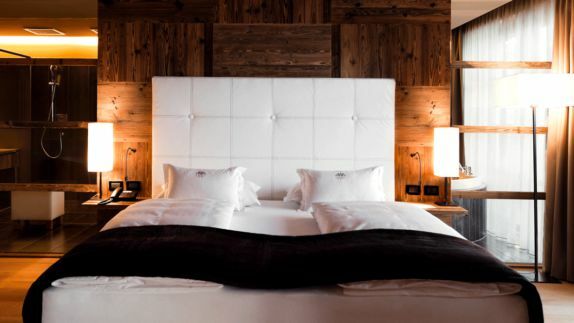 The wooden floors and warm color theme of the Alpina Dolomites add to the cozy atmosphere, making each spacious room an oasis to relax after exploring the mountains and racing down the slopes. Guests can enjoy breathtaking views of the dramatic mountain formations of the Dolomites from the balcony or terrace of each and every room. 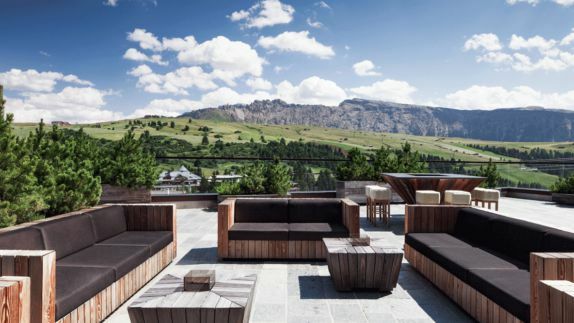 Where can I rest after a long day of hiking or skiing in the Dolomites? 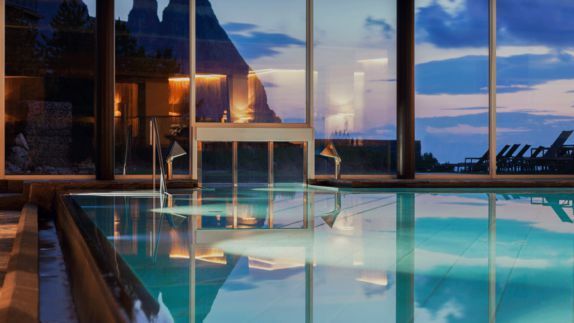 Let the weight of everyday life wash away as you glide into the emerald mountain lake pool surrounded by the Dolomites or let the stress evaporate in a cloud of steam in the hot steam rooms of the wellness area. Holistic treatments with natural ingredients calm your mind and strengthen your immune system at the Alpina Spa. 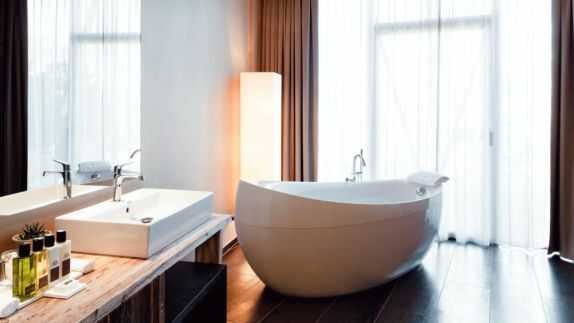 Relax your sore muscles after a day full of skiing in a world of water, heavenly aromas and steam. How is the cuisine of South Tyrol? Do I have more than one restaurant to choose from? 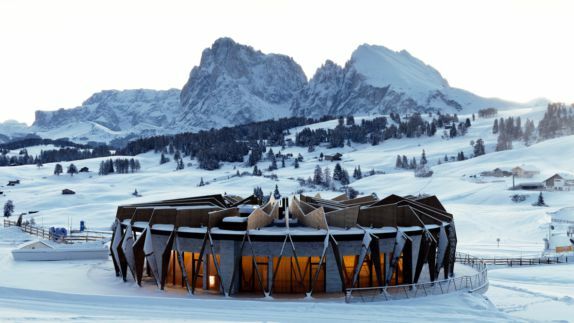 Wine and dine with a view of the majestic Dolomites and savor regional and Mediterranean dishes made from locally sourced ingredients at the Mountain Restaurant & Stuben. Choose one of the tasty aperitifs to get you in the mood for the delights of the perfectly thought through dinner menu and let the evening come to an end in the hotel’s Mountain Lounge & Bar in cozy chairs with a signature drink and your favorite company. How can I spend my day in the Dolomites? What is there to see and discover? The Alpe di Siusi plateau offers numerous activities for every taste and is a haven for winter sports enthusiasts. Whether you want to hit the slopes and go skiing, snowboarding or cross-country skiing, the slopes located in the vicinity of the hotel are excellent. Once the snow melts, the beautiful hiking trails are being revealed and are just waiting for being discovered by you.